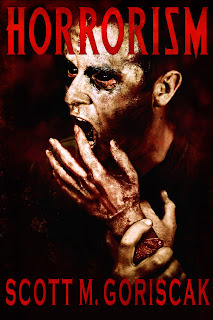 Horrorism is a collection of short stories that are either gruesome and filled with gore or haunted by the paranormal. 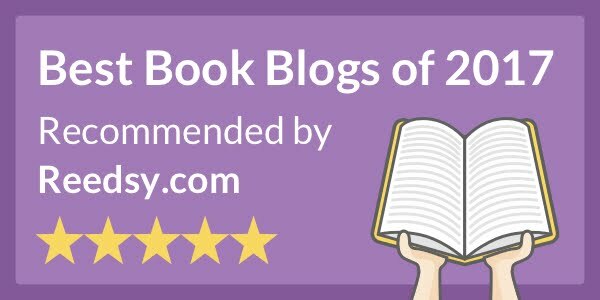 Instead of spreading out the reviews for each story, I will post them all in this one post. Get ready! Warning: This is not for anyone who cannot handle some gore. This story is about a sick game that takes a turn for the even sicker. It starts out as a game made up by a bunch of teenage boys looking to cause trouble. They want to run over small animals with their cars. After the competition heats up, the game becomes more than any of them thought it would, and gets out of control. What lengths would you go to to be the point leader? Scott Goriscak’s writing is very interesting, and I look forward to seeing what the next story holds. 5/5 Disturbing. Very, very disturbing. But, very well written and remained interesting throughout the whole journey. Have you ever thought there was an odd presence in your home? Your thoughts come alive in this story. A man and his wife plan on getting divorced. When the woman finds the man a house to live in, she gets herself into more than she can handle. The house is a rat-infested mess, and has a dark history. When the man discovers the truth behind this residence, he becomes a little too comfortable. Then, at the end, a huge twist is thrown at you. It is a very creepy story, but I enjoyed it a lot. Well written, the characters were well developed, and the story was interesting. This story was very… odd. I shall explain why. A man and his family decide to move from the city into the country. When he decides he wants to fix something up in his daughter’s room, he discovers little creatures that will ruin his life. 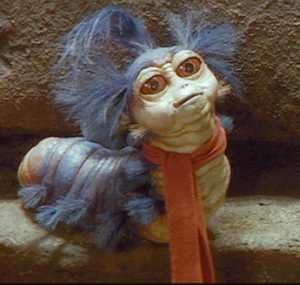 Now, usually little creatures with extremely sharp teeth and claws would be terrifying, but I could not take it seriously, because as soon as I read it, I pictured the little worm from The Labyrinth. It made the whole story funny – in a sick humor sort of way. That being said, it had a very eerie vibe to it – which proves good writing to me even though I could not take it seriously, and the end was actually pretty creepy. 4/5 Stars. The plot of little furry monsters ruining someone’s life is a little too out there for me, but it was good nonetheless. I have to say, this is the weakest link of the series so far. It is about a man that has to take a roadtrip for business and winds up in a ghost town that was abandoned after a government experiment. Things are not as they seem to him, and he begins to be haunted by the dead residents of the town. While it may seem like the premise for a good story, it runs pretty dry throughout. It also ends pretty abruptly, but you don’t really see that ending coming. 3/5 it was okay, but not as good as the others. This story started off with a very scary beginning, but then it evolved into something else. It became a story of love – laced with losing limbs and eyeballs… but a story of love nonetheless. When parents of an adopted child are forced into a situation they were not prepared for, they must learn how to cope with it, because it is their child. It is really a great story. I found myself really enjoying it. Oh, and there are werewolves involved. 5/5 great story. Love, blood, and violence. HOORAY! A man is given a great promotion at work. His co-workers decided it would be a great idea to take him out to the bar at lunch time and get him completely drunk. He decides he is okay to drive after blacking out in the parking garage. What he experiences next is something that no person should ever go through in their entire life. That is where I am going to leave you, because there is no way I can give away the ending to this one. This story was so emotional I was on the verge of crying while reading that. Not many stories affect me in that way – especially short stories. But, wow. 5/5 even though I almost cried, and the story line was terrible (terrible as in very depressing) it was a great story. This story was very interesting. A man is killed by a secret experimental weapon that two fools were messing around with. To avenge his death, he begins to torment one of the men responsible. It is sort of entertaining for a while with how he uses his abilities to get back at the man. I wasn’t expecting the ending. It was a bit extreme, but it was pretty emotional. 4/5 It was odd, but interesting. And I thought I was a cat person…. This story takes the “cat lady” term to a whole new extreme. This story is about a man and his wife, and the cat that destroys the man’s life. It was sort of humorous because it seemed like it was mocking cat ladies, but to a gruesome extreme. The end was pretty shocking as well. This one was really creepy. Dolls in general are creepy to me after seeing the movie Dead Silence. This story reminded me of that movie in a way. A man reconnects with one of his old girlfriends. As they begin to hang around each other more, he learns of her dark hobby. She places dark magic into the dolls she creates and sells to people. He begins to distance himself from her, and once she sees him on a date with another woman, she decides to make his life a living hell. This story was very interesting. It kept my attention the whole way through because I did not know what was going to happen next. 5/5 stars. Super creepy, but entertaining as well. This story started making my stomach turn just with the killing of the dog. When it escalated to humans, I thought I was going to be sick. Thankfully, that was not the case – especially since I read this on a train. When he was hit at the end because of this “game” I felt some sort of sympathy for him because he knew it was getting out of hand, but he encouraged the original game, so I felt he deserved it. I was a little confused at the end, until the very last line. The ghost had inhabited the woman’s body. Great twist. I didn’t see it coming! Once the story was drawing to a close, I figured out that the whole family would be dead. What I didn’t realize was that he would make the little creatures real and not a figment of the man’s imagination. I could never imagine what he was feeling after he found out that he had hit his own daughter with his car. It was so sad. I almost couldn’t finish it. I don't know... It's hard for me to imagine a young woman smelling a sweet red rose reading creepy stuff...not that fright-in-the-night is BAD, but it gives ME scary thoughts! Remember when I tried to comment and it wouldn't let me? Let's try this again. That picture you used was SO scary omg. And you spent a lot of time on this it's like 46 pages long good job.